Senior 411 Rep Cards are amazing! They are popular for seniors to pass out to share their information with friends and acquaintances (facebook sites, blogs, email address, cell phone, etc!). 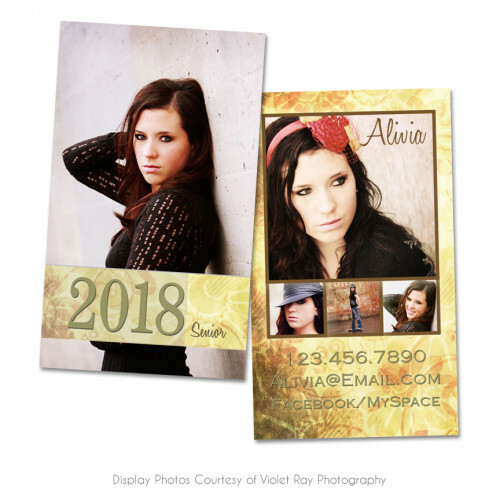 This also makes them a viable marketing tool for photographers to get their images and contact information into the hands of other seniors and under-classmen.